If you have multiple locations set up in your account, it's simple to move the menu you're working on to the correct location. Click File in the upper left corner then Move to. 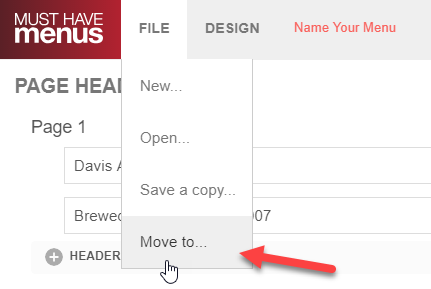 Select the correct location to store the menu and click move. You'll see the menu in its new location folder on My Menus.